A multitude of marketers have jumped on to the Twitter bandwagon. But most don’t seem to be using this tool in an effective way, a Google analytics expert laments. Avinash Kaushik believes there’s too much emphasis on signing up “followers” and tweeting inane stuff that doesn’t mean anything to them. He deplored the practice adopted by many PR consultants of badgering Twitter followers with marketing messages. “I might tweet to my 21,000 followers that I am going to the washroom. It would be funny the first time, but no one except my mother will take note the third or fourth time,” Kaushik said. 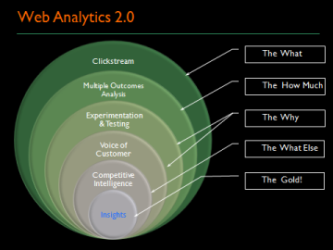 The analytics evangelist for Google Inc. is author of the book Web Analytics 2.0. He was a speaker at the recent Next: 2010 conference organized in Toronto by the Canadian Marketing Association. Kaushik’s presentation at the conference was titled Web Analytics 2.0: Achieving Minor Orgasms Online by Using Data. For Twitter to be an effective marketing tool, he said, companies should use it as a listening post rather than a soapbox to stand on and proclaim their message. The number of followers to a Twitter account means little. What marketers should be paying attention to is the number of retweets. By focusing on producing quality tweets and aiming for retweets, an organization also ensures greater exposure. For example, tweeting inanities to his followers might get Kaushik an audience of 21,000. But a retweet expands that number to include a follower’s followers and so on. “Retweets indicate that you are saying something that your followers deem to be of value and they care enough to share it with their friends or followers,” said Kaushik. While Web analytics has done a lot for marketing, many marketers don’t have a clue about what numbers they should be focusing on, the Google expert said. All too often, they present clients with metrics that have little value for the campaign. Kaushik urged marketers to change the way they think about online data. He said many organizations obsess about page views and visits. He defined page depth as the average number of page views a visitor consumes before ending their session. You get at it by dividing total page views by the total number of sessions. Kaushik said marketers should also focus on the degree to which a Web page or site engages visitors and the outcome of that Web experience. Rather than counting page views, Kaushik says it makes more sense to track whether the online interaction has strengthened viewer loyalty and community building. Web campaigns that develop communities are very effective, not just because they create brand awareness, but also because they sustain the loyalty of people sold to a brand. Kaushik cited McDonald Corp.’s Facebook page, which uses social networking tools to connect thousands of McDonald’s fans. Vibrant online communities demonstrate that a brand matters to its consumers. Online macro conversions or a site’s ability to produce revenues is vital, but very often organizations forget its partner – micro conversion. “People often focus on one function of a Web site and forget the rest, but I’ve never really seen a Web site that exists for just one purpose,” said Kaushik. He cited the example of Travelocity.ca, the online travel and hotel booking site. It exists mainly to get people to book plane flights and reserve hotel rooms. That is its macro conversion and it should be done dutifully. Micro conversions, he said, can be found in the additional ad revenues page clicks, boost in client reach through newsletters, PDF downloads, and subscription to deals and bargains. Macro conversion is great, but you achieve the best results by going after micro conversions as well, the Google expert said.